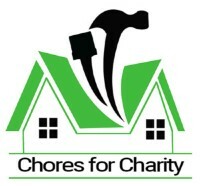 What is Chores for Charity? A chance to "Get Something Done. Do Something Good." 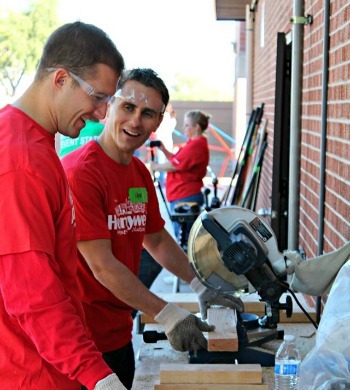 Rebuilding Together Valley of the Sun offers a low-cost handyman service for residents of Maricopa County. This unique program allows you to get much-needed chores and maintenance services done while doing something great for the community! 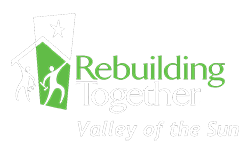 All proceeds from the Chores for Charity program support our free critical repair program for low-income homeowners. 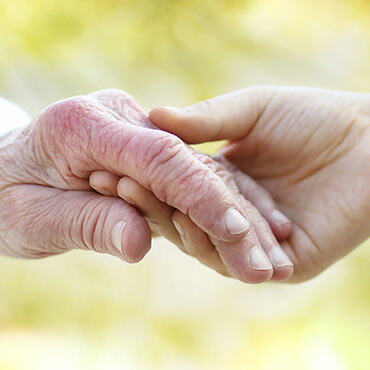 Chores for Charity services include the most common repairs needed in a typical home - you pay a flat fee including labor and (typically) most materials. If additional materials are needed, we will let you know and provide you with an estimate prior to performing the work. From mobile home floor repairs to help hanging a shelf, Chores for Charity can help you get something done while doing something good! *Please note: RTVOS is NOT a licensed contractor and provides no warranty for services. A $50 trip fee will be charged for all consultations. The fee is waived if work is scheduled and completed.